Arthur Remillard uses sports as a means to engage his students in understanding approaches to the study of religion. He notes how he had difficulty understanding Durkheim’s connections between religion and society until, while living in Tallahassee, Florida, he saw them illustrated in the symbols and rituals Florida State football fans engaged in on game day. The notion of collective consciousness, the grand sense of “us” (over/against “them”), and the symbolic nature of sacred symbols embedded in athletics became clearer to him and offered a pathway to engage his students in the study of religion. Beginning with the collective consciousness of Durkheim and moving on to the work of Geertz, he begins with what students know, sports (whether as enthusiast or critic), and connects them to the various dimensions of religion. 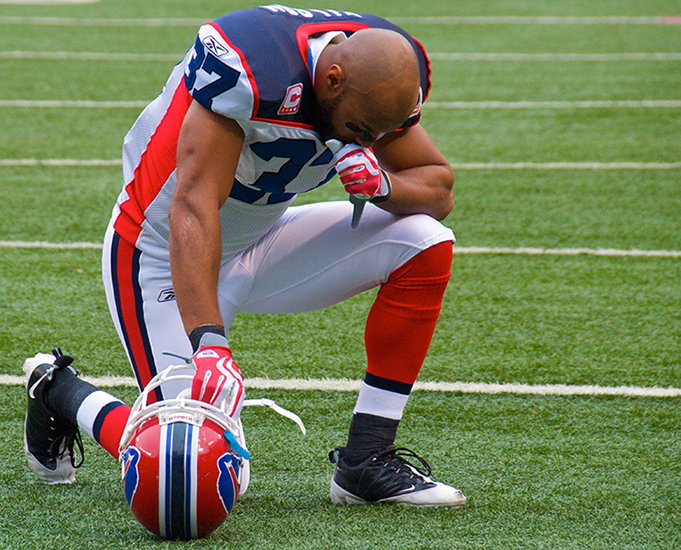 He does not see sport as a religion; rather, he enables his students to explore the ways in which sport operates in “characteristically religious ways.” Similar to the ways in which “athletes intuitively understand the relationship between body-bending repetition and mastery,” Remillard uses multiple teaching tactics—lectures, discussions, blogs, essays—to enable students to develop a deeper understanding of religious ideas and practices by the connections he and they make through their common experience of sports in American culture. Philip Arnold also draws from his own biography and location to make connections between religion and sports. He teaches Native American and indigenous religions at Syracuse University (SU), a big time sports school. While best known for football and basketball, Arnold focuses his attention on lacrosse, in part because of SU’s prowess in the sport, but mostly because of the sport’s origins among the Haudenosaunee, one of the Native American groups he studies. A key focus for his course is the “gift exchange economy,” which include both seen and unseen relationships and forces between the participants, and which he finds present in both sporting events and religious ceremonies. This is one way he enables students who have no background in the academic study of religion to see the correlations between the known, SU sports, and the unknown, the religious traditions he teaches. Through short papers and videos students post online (in a class that has had as many as 300), students explore the common themes between religion and sports, from the issues of identity to the questions of race, class, and environmental issues present in both sports and religion. Similarly, Rebecca Alpert uses active learning strategies and case analyses to probe the manner in which, sometimes, religion and sports conflict. To challenge the supremacy of American football prevalent among many examples of the relationship between religion and sports, she chooses cases from a wide variety of geographic locations and sports. One case in particular is when a Muslim woman athlete wanted to compete while wearing the hijab—something American viewers of the 2016 Rio Olympics might have seen when Ibtihaj Muhammad became the first American woman to compete in the Olympics (fencing) wearing a hijab. She recreates the groups involved in the case and gets students to engage in various forms of perspective-taking. As a result, the case enables students to delve deeper into their own preconceived assumptions about Muslim women and veiling, thus opening the door for richer engagement, dialogue, and understanding. Katherine Zubko highlights another form of bodied physical activity, dance, to engage students in the study of religion, particularly Hinduism. During her own study of Hindu texts and languages she decided to return to dance as a form of stress relief. However, her experience in a dance practice that embodies the stories of Hindu gods led her to realize that her experience in dance was a form of “bodied” education which made the texts come alive and changed the way she viewed them. Wanting to enable her students to experience the same (and to challenge the monotheistic lens through which many American students view other religions), Zubko chose to introduce dance as a kind of embodied learning and pedagogy. Not able to teach in a dance studio but in a traditional classroom, she led small groups of students in some mini exercises where students learned to embody the nine rasas, or emotional moods, through role-playing experiences in their own lives. By then coupling these experiences with the reading of a Hindu myth, this kind of embodied learning enabled her students to engage the study of Hinduism in a multidimensional way, the way religions are generally experienced by their adherents. Evans, Christopher H. and William R. Herzog II. 2002. The Faith of 50 Million: Baseball, Religion, and American Culture. Louisville, KY: Westminster John Knox Press. 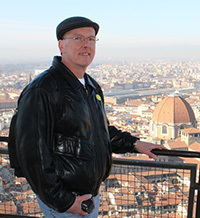 Fred Glennon is professor and chair of the Department of Religious Studies at Le Moyne College. He teaches a variety of courses in religious ethics, including Comparative Religious Ethics and Social Concerns (in classroom and online formats). His research and teaching focuses on religious ethics and social justice. He also writes and publishes in the area of the scholarship of teaching and learning, with a number of publications in Teaching Theology and Religion. He is coauthor of Introduction to the Study of Religion (Orbis Books, 2012), now in its second edition.